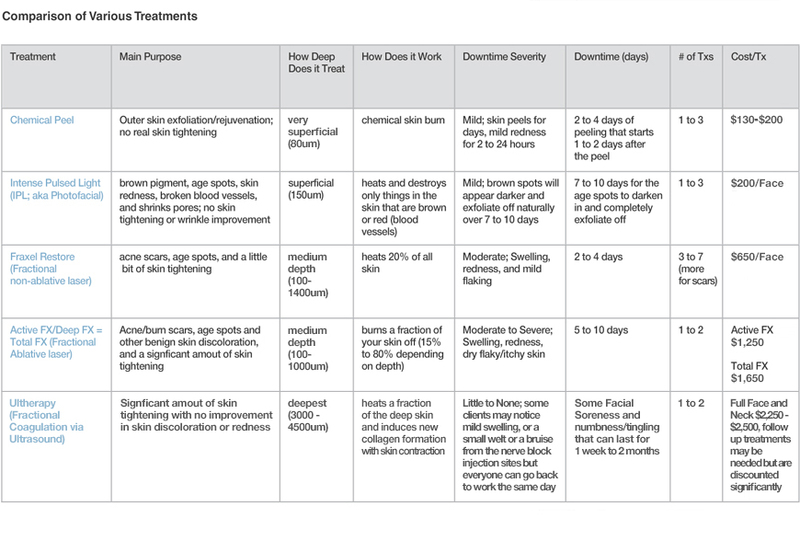 Why Come to Aesthetic Laser Care for Your Ultherapy Treatment? •Our highly experienced Ultherapy nurse, Marianne Carruth RN, has advanced certification through Ulthera and performs exceptional anesthetic nerve blocks to minimize discomfort. Most of our competitors do not perform this value added pain management step. In addition, Marianne has Dr. Lafkas available for consultation at all times. •We have performed hundreds of treatments since starting with Ultherapy in January 2012. Ultherapy is a non-invasive procedure that uses ultrasound energy to specifically target skin depths of 3mm and 4.5mm deep (some 2 to 3 times deeper than was previously possible with lasers). Ultherapy is able to achieve micro focused zones of heating to 160 degrees fahrenheit. This level of precise heating has never been achieved previously at these depths by an FDA approved device. The heating causes collagen proteins to denature and the body’s own natural healing process to repair, lift, tone, and tighten loose skin on the brow, neck, and under the chin. The only FDA-approved procedure to lift skin on these hard-to-treat areas, Ultherapy uses the energy of ultrasound to stimulate the deep structural support layers of the skin—including those typically addressed in a surgical facelift—without disturbing the surface of the skin. With Ultherapy, there’s no downtime, no foreign substances, no radical change; just a healthy revving-up on the inside for a natural, noticeable effect on the outside. You may notice a short-term “boost” but the natural process of creating new, more elastic, collagen builds over time. Your body's response to this energy is to recondition tired skin by stimulating the growth of fresh new collagen. The result is a tightening and gradual lifting—or shifting—of the skin back into a more youthful position and form-fitting shape. Ultherapy has little to no downtime. Few if any people that don't really know your face will be able to tell that anything was done. Unlike lasers, which penetrate the skin from the outside-in, Ultherapy doesn't cause injury to the skin surface and bypasses the surface of the skin, specifically targeting the deep, structural skin tissues where collagen is concentrated. 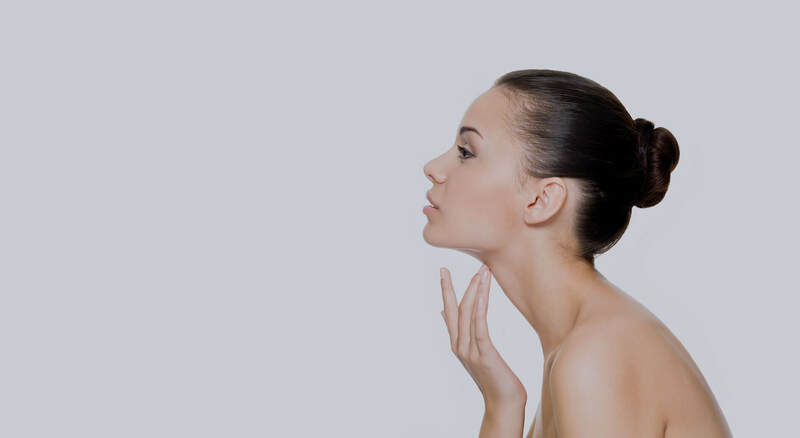 Some results may occur the first few weeks, but most of the results appear from 2 to 6 months after the treatment, including lifting and tightening of the skin on the neck, under the chin, along the jawline, and on the brow. Most clients are advised to do a follow up full face/upper neck treatment or a touch-up treatment of the trouble zones 6 to 12 months after their first treatment. All future treatments are discounted substantially at $2/treatment line. While Ultherapy does not duplicate the results of surgery, it has proven to be an inviting alternative for those who are not yet ready for surgery or can't afford the downtime or cost. The ideal candidates have good skin tone and mild sun damage with little "premature aging" (stated otherwise: you don't look old for your age) and mild skin laxity. Our best results are seen in those aged 35 to 55, with satisfaction rates in the 75% range for this group. In our experience, satisfaction rates drop with advancing age and more significant skin laxity or in individuals with poor hormone levels and poor wound healing. Most clients feel the treatment is mildly to moderately painful. We are one of the few treatment centers that perform nerve blocks for all of our Ultherapy clients. Nerve block injections using Lidocaine and epinephrine are performed before treating each side. In our experience, adding the anesthetic nerve block has helped to make the treatment much more tolerable. Make sure to also take 600 to 800mg of ibuprofen (Motrin) with a full glass of water 1 to 2 hours prior to your treatment time to further reduce discomfort. What are the Side Effects of the Ultherapy treatment? You are able to return to your normal activities right away, and there are no special measures you need to take. Your skin may appear flushed immediately after the ultrasound treatment, but any redness should disappear within a few hours. It is common to experience slight swelling for a few days, or tingling/tenderness to the touch for a few weeks following the procedure, but these are mild in nature. Other common side effects include: small areas of bruising at the sites of the anesthetic injection, dermal welts that last 3 to 7 days, and numbness along the neck and jaw line that can last 2 to 12 weeks. To date, there have been no permanent long term complications reported from the hundreds of thousands of Ultherapy treatments performed worldwide. We will review all of this with you during your consultation.